Breaking barriers both culturally and musically Kasaundra Shields "makes the gospel genre accessible to the everyday man" says International Recording Artist and Grammy Nominated, Maimouna Youssef. With powerful lyrics and relatable story lines, combining melodious instruments and clean vocals, Kasaundra's ministry and music breaks barriers between cultures, ethnicity and religious beliefs. 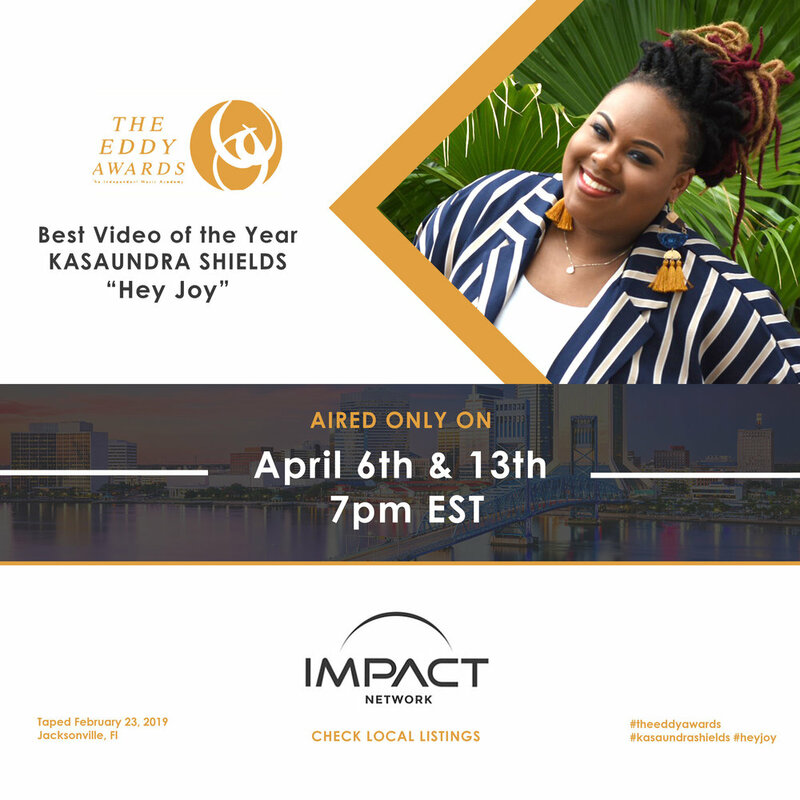 Providing both inspiration and connection, Kasaundra’s single “Hey Joy” was dubbed Music Video of the Year at this years Eddy Awards. At the end of 2018, Spotify lifts the lid on who’s been listening to Kasaundra’s music! On October 20, 2018 Kasaundra Shields recorded new music in front of a live studio audience in Falls Church, Virginia ! If you’d like to sow a seed in support of this project, donate below.